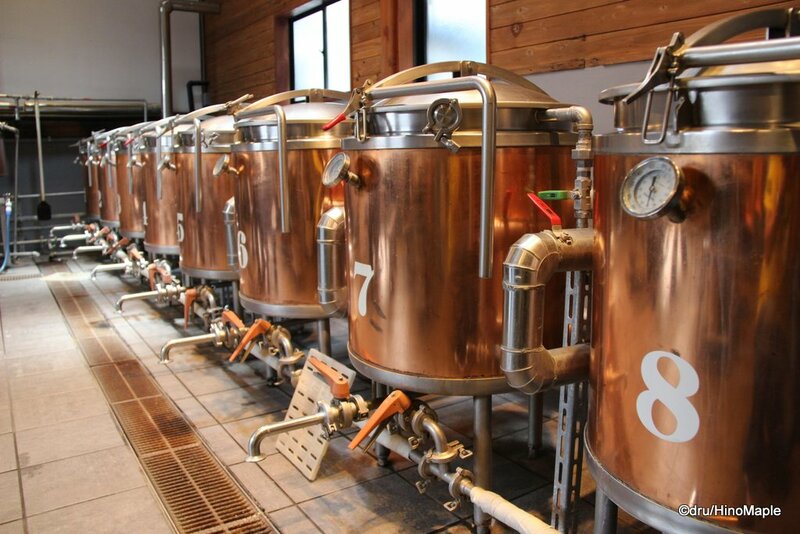 In June, I headed up to Mito to brew some beer at Kiuchi Brewery, aka Hitachino Nest. I had a great time and had to wait a while to get my beer. It had been a few weeks since I got my beer before I finally had a chance to really evaluate it. I have had it a several times already but I wanted to make sure I got the flavour notes the way I wanted to describe it. Do note that I am generally more critical of my own beer and I am not a professional beer taster. I just explain things the way I like to explain it. My Honey Amber Ale started off with a basic amber ale base and I tweaked it with honey. The process was pretty simple and you can read all about it in my past post about it. When I got the beer, it was a nice colour. It was not quite the colour I wanted but it was pretty close. I enjoyed the head on it as well. It pours very nicely but the carbonation was a little higher than I had expected. The beer also ended up being 7%, a little higher than I expected. The first sip I took was not what I was expecting. It was a little tart when I was expecting something smoother. I’m not very good at tasting the honey but my friend said he could taste the honey. I found the honey to be very muted, but it was there. I remember reading that honey is better at binding the flavours of beer rather than enhancing them with added sweetness. This is due to boiling the honey prior to fermentation, I think. 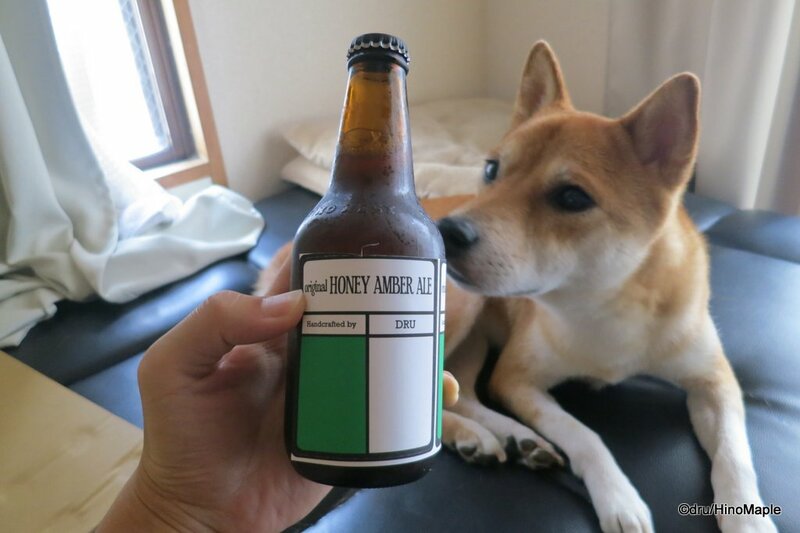 The beer itself is very refreshing and good in the summer. It isn’t a perfect summer beer as it was still a little heavy in general. The carbonation made it a little prickly and the smell wasn’t as pleasing as I had hoped. It smelt a little skunky, but this may have been from the French hops I used, or even the chinooks. It is still a good beer overall but not something that I would make again. I would definitely have to change things a little. Overall, the beer is very drinkable and still very good. I like it but the perfectionist in me wants to alter it to be better in different ways. I hope to get another chance to make it again in the future but we’ll see. 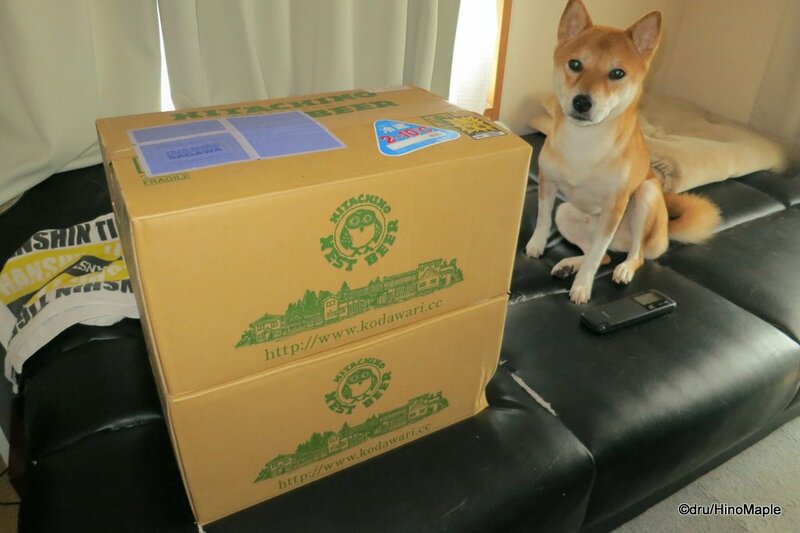 It is expensive to go up there often to brew beer but I hope to set a tour to go up there again in the future. 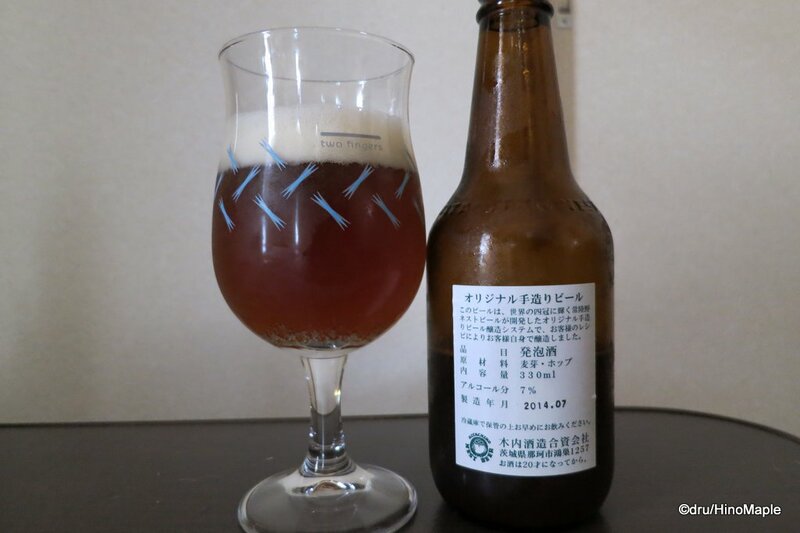 This entry was posted in Food and tagged Ale, Amber Ale, beer, craft beer, dru, Hitachino, Hitachino Nest, Honey Amber Ale, japan, Ji-Biru, Kiuchi, Kiuchi Brewery by Dru. Bookmark the permalink.